Inspired by the diagonal bracing of the old Wabash Bridge in Pittsburgh, this shawl is worked on the diagonal to create its unique pattern. Edging on shawl is essentially all buttonholes. 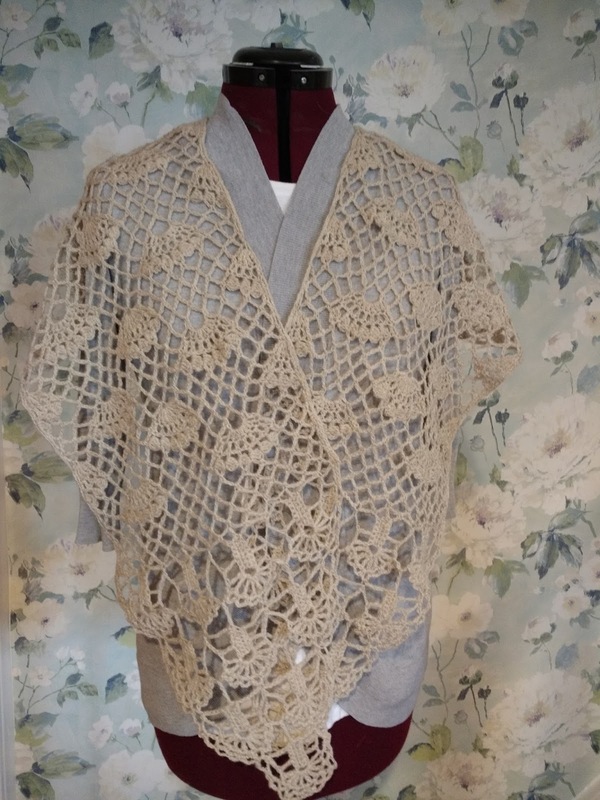 Thus, allowing you freedom to chose where you want to button the shawl and create your own look. 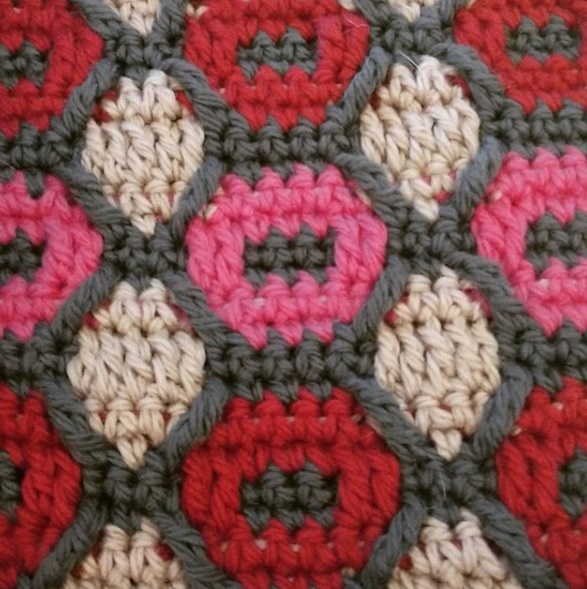 Pattern includes stitch diagram of the entire panel and joining method. Video Tutorials of the shaping and joining method. 4 rows = 4”, 4.5”, or 5” on the vertical or horizontal edge. Shawl is 52.5 (58.75, 65)” by 14 (16, 17.75)”. Sized for S/M, L/XL, and 2X/3X. Shown in S/M. 2. 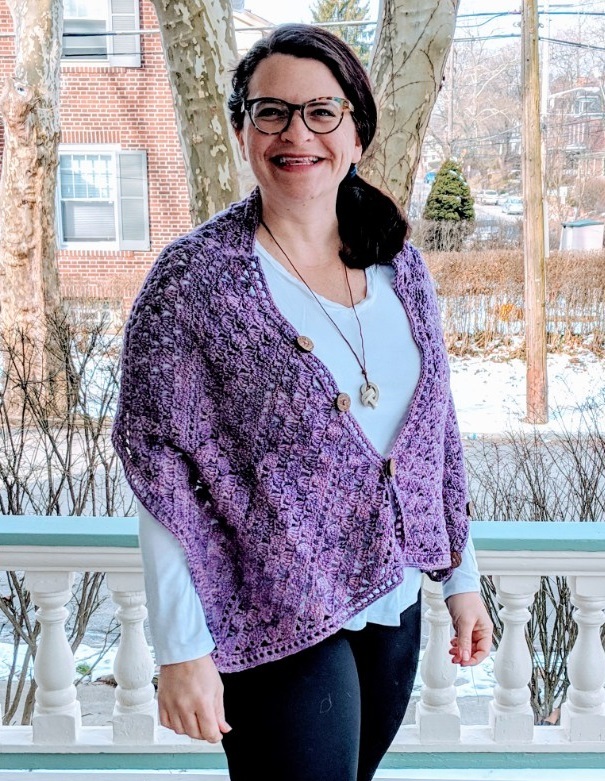 Shawl converts to shrug or poncho by using the buttons to close the rectangle. For the shrug, button long edge to form sleeves. For the poncho, button short edge to long edge to form neckline. 3. Project is worked on the bias (diagonal). Fine Print: To use the PDF, you will need appropriate software such as Adobe Acrobat Reader. 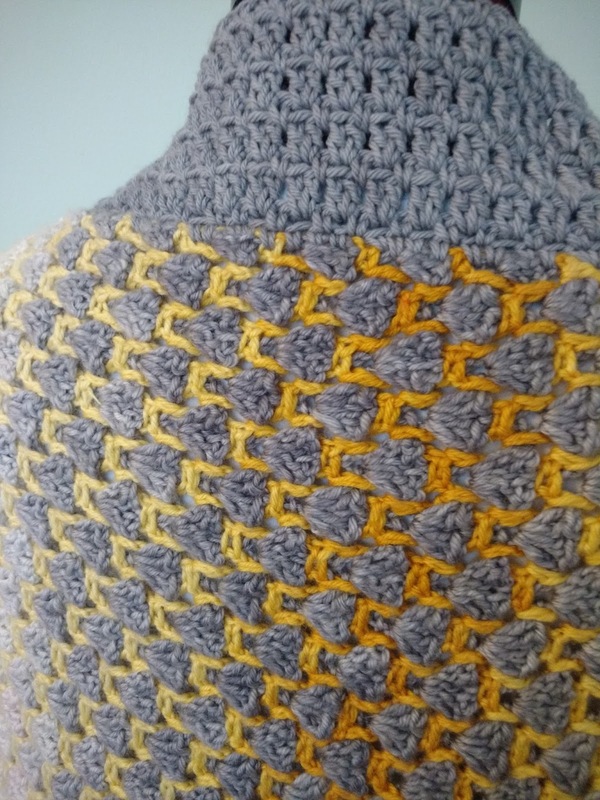 By purchasing this pattern, you are granted a limited license to download the pdf file to a single personal computer and to print out a hard copy of the pattern, solely for personal non-commercial use. Extremely lightweight vest floats around your body and can be styled in many ways. 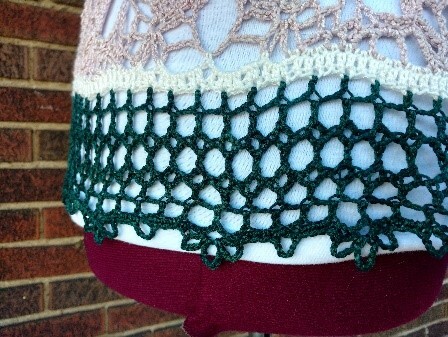 Crocheted lace is made from a quickly repeating wave pattern. Pattern includes written directions for 3 sizes. Video tutorial assists in special stitches. 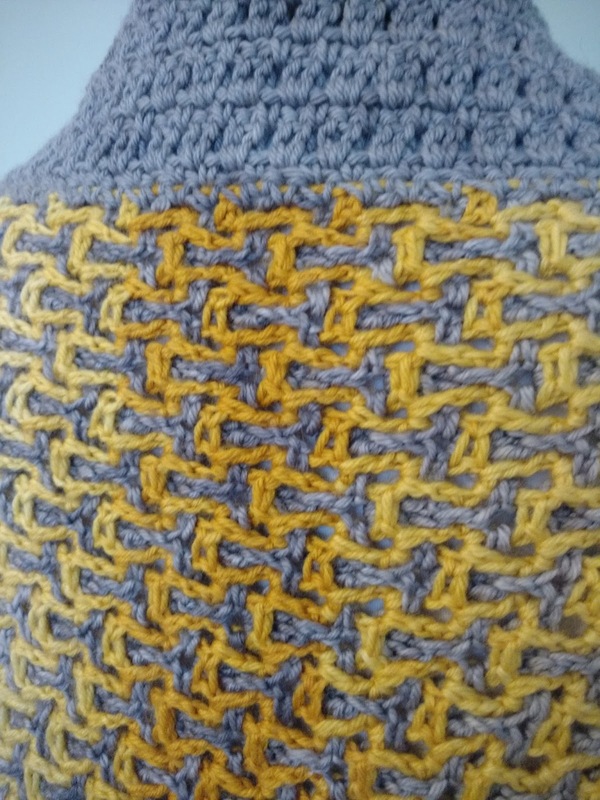 Stitch diagrams of stitch pattern and armhole shaping included. Vest is 37.5 (48.75, 60)” (95, 124, 152.5 cm) in width and 26.25” (66.5 cm) in length. Sized for XS/S, M/L, and XL/2X. Shown in M/L. Adorable pops of color freckle this hat by using Tunisian Reverse Stitches. 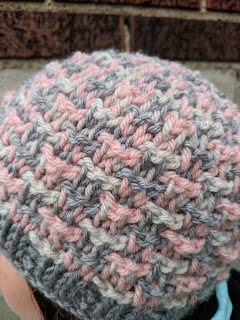 Work hat in the round with 2 Tunisian Crochet hooks for minimal ends to weave in. 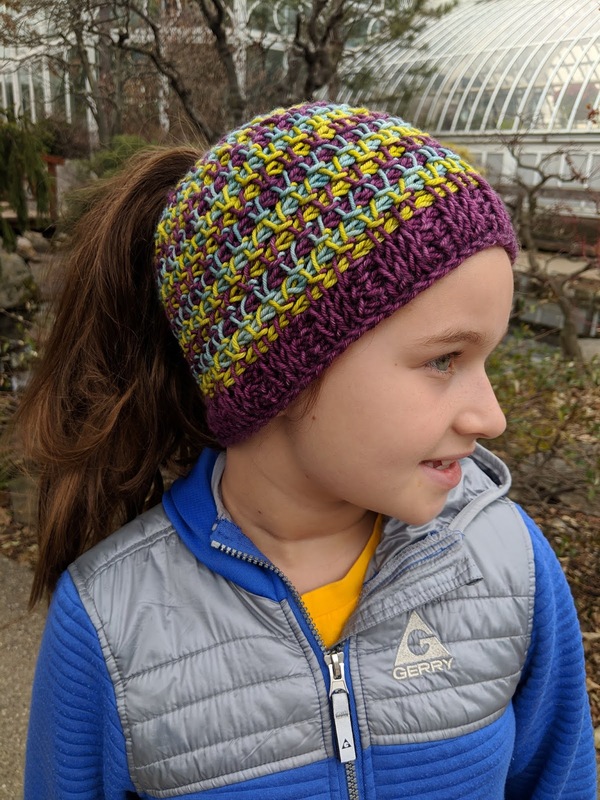 Pattern includes directions for both ponytail and standard hats. 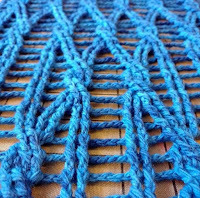 Video tutorials assist in the foundation, stitch pattern, decreases, and bind off. Stitch diagrams of stitch pattern and crown shaping included for each size. See pattern for specific amounts of yarn for other versions shown. 1. 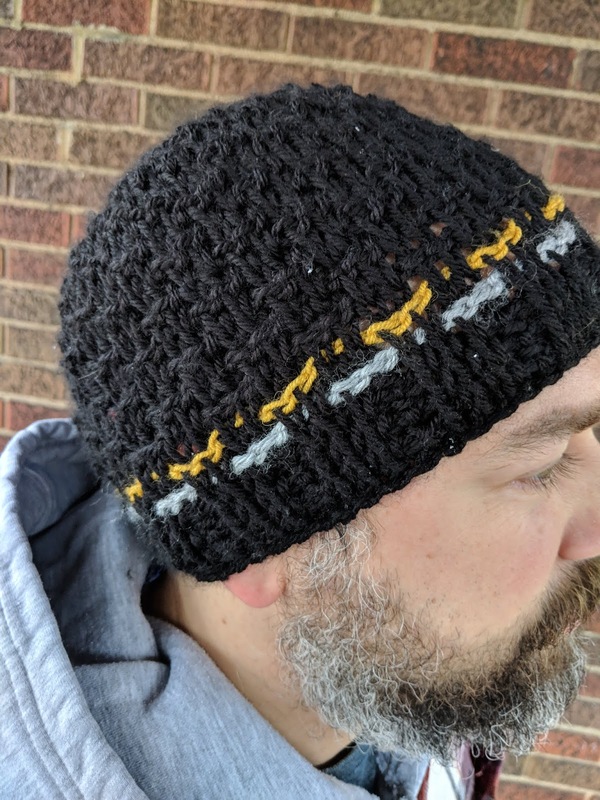 Hat is worked in the round with 2 Tunisian hooks. Hat can be worked flat with one hook and seamed at the back. 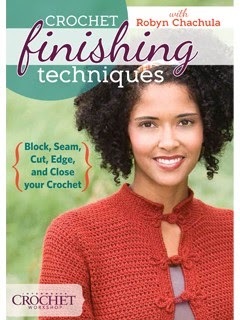 If doing so add 1 extra stitch at foundation and TSS in it at the end of each forward pass. 2. 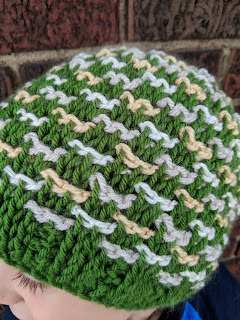 Also, if working the hat flat consider working 3 yarns for a marbled look; instead of the main color in the forward pass and contrasting colors in the return pass. 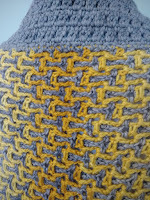 Much less ends to weave in, see video tutorial on stitch pattern in pattern. 3. 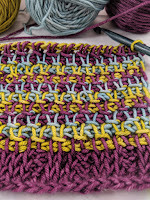 Foundation row is foundation slip stitches, chains can be substituted but will create a tighter brim that might curl or need blocked when finished. 4. 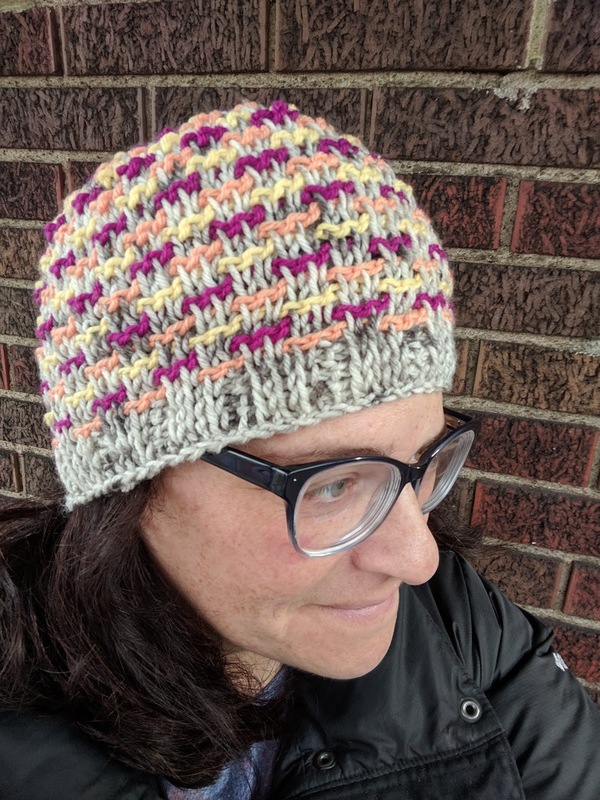 Hat can be worked in any number of colors. Pattern written with the main color (A) on forward pass, and contrasting colors (B, C, or D) on return pass. 5. All hats shown are in Adult S/M. 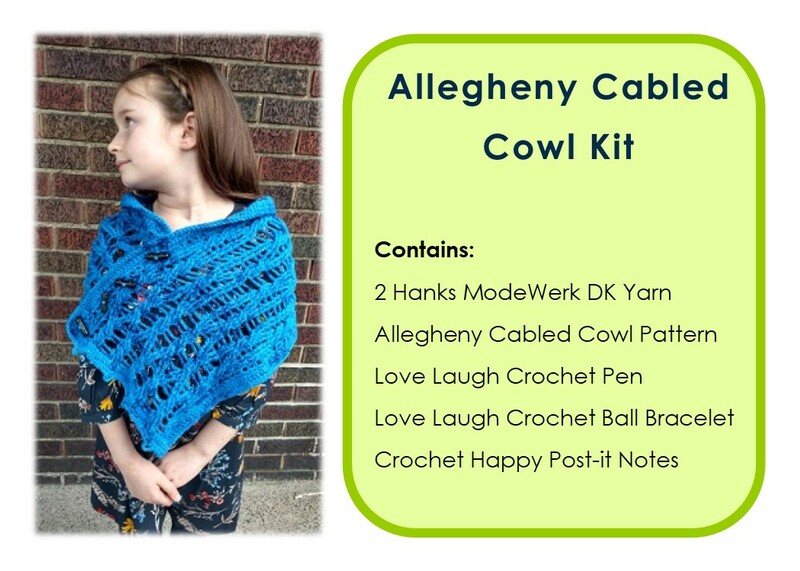 We are sponsoring the 9am hour with one of our Allegheny Cable Cowl Kits from Love Laugh Crochet. 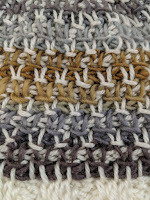 You can choose any color you like of the amazing ModeWerk DK yarn. Be sure to enter lots of times! 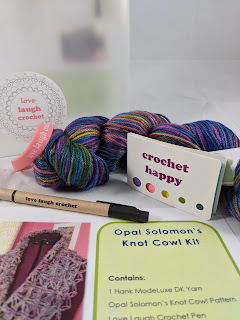 What a fun way to enter the New Year with New Yarn! 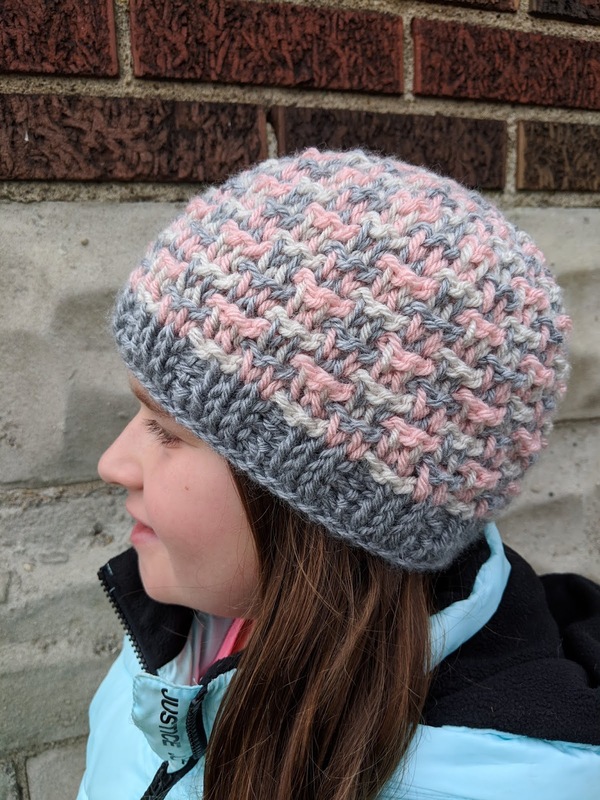 Addictive stitch pattern mixed with classic hat shape makes for a project perfect for anyone. Pattern written with ponytail opening and without; and sized from toddler to large adult. 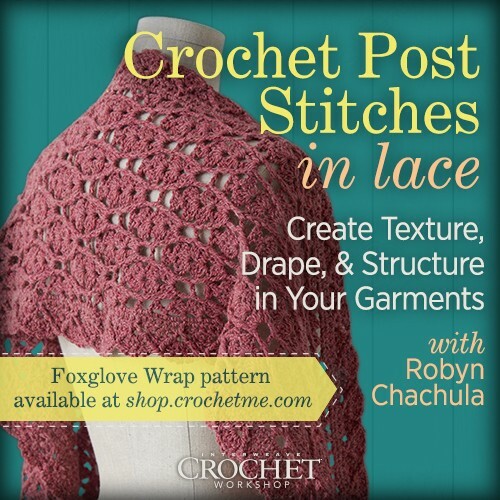 Video tutorials assist in the foundation, stitch pattern, decreases, and bind off. 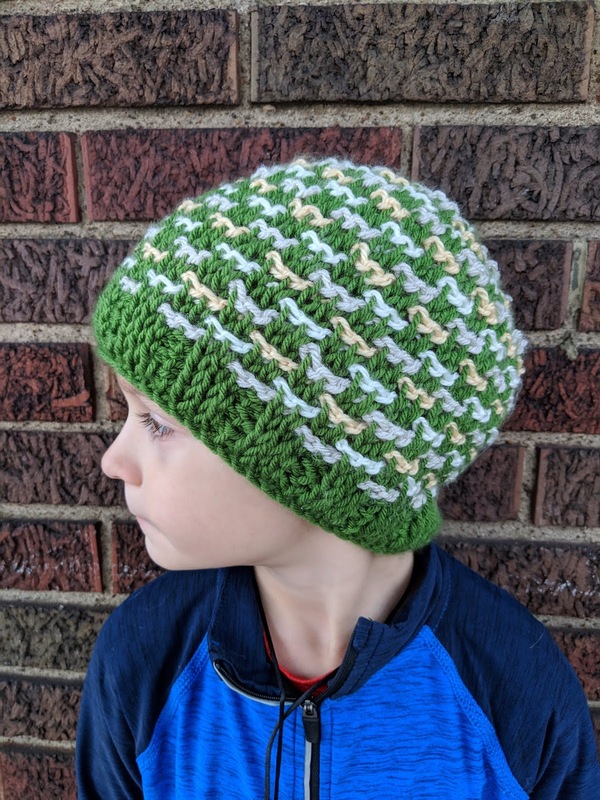 Stitch diagrams of stitch pattern and crown shaping included for each size. 1. Hat is worked flat from the brim to the crown. 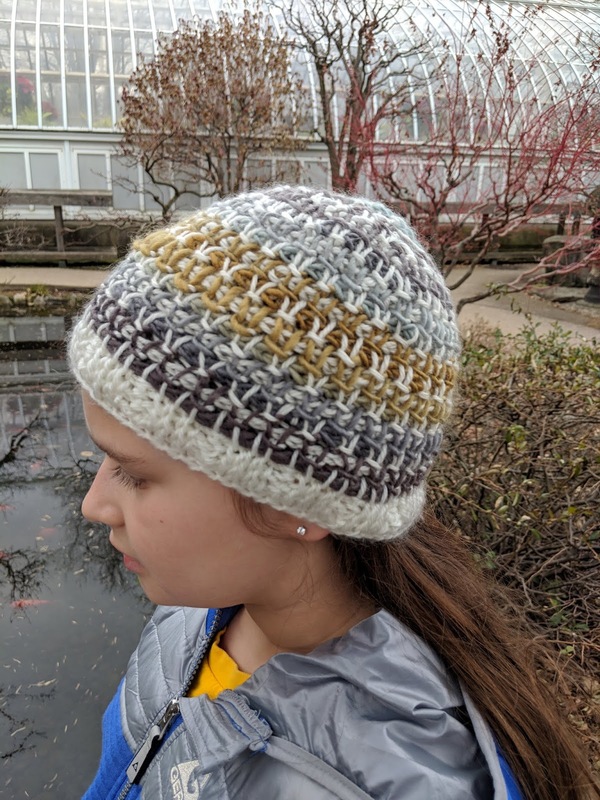 It is seamed at the back to form the hat shape. 2. Foundation row is foundation slip stitches, chains can be substituted but will create a tighter brim. 3. 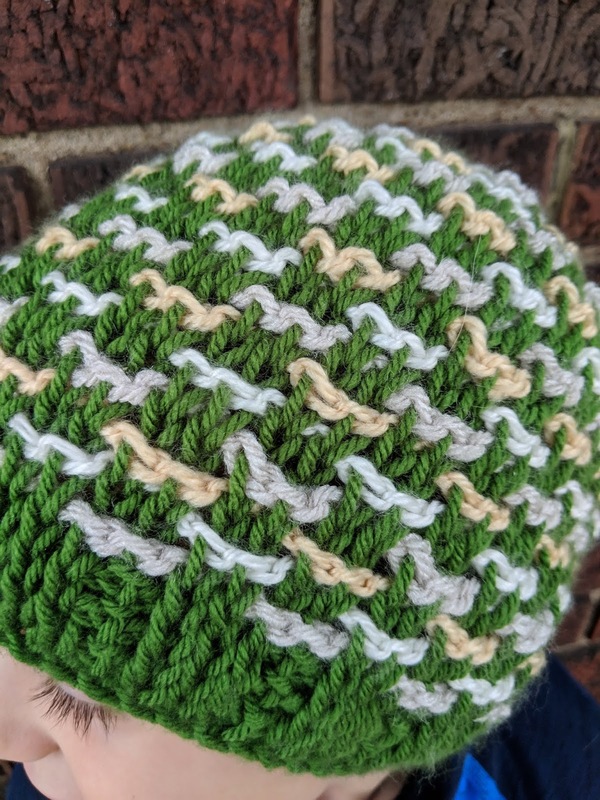 Hat can be worked in any number of colors. Ponytail version uses 3 colors worked in following sequence: A, B, C. Standard version used 2 colors, A and B. Change colors as desired. Single color version uses about 120 yds of yarn. 4. 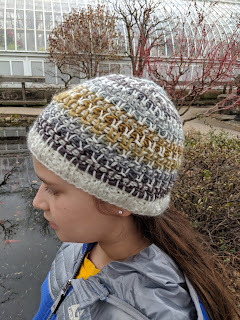 Hats shown are in Adult S/M. Hats have lots of give. 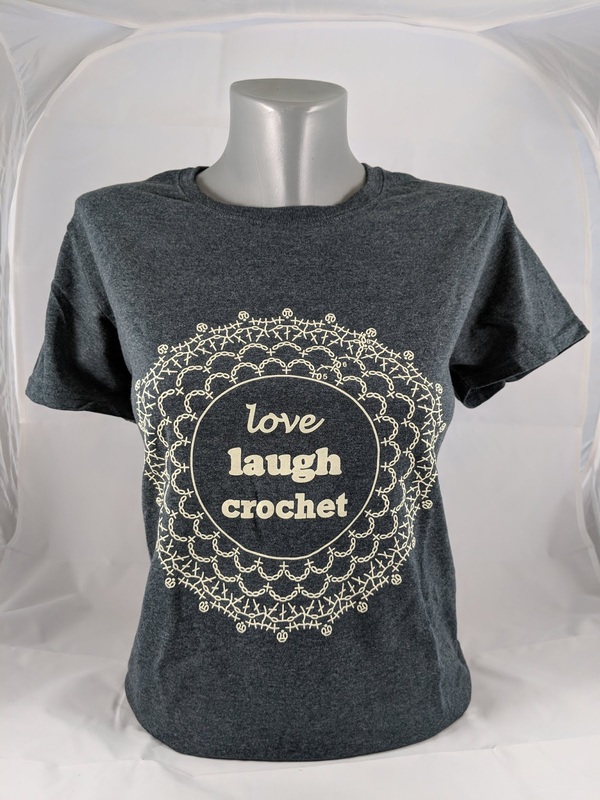 Love Laugh Crochet Pop-up Store Now Open! 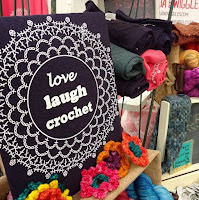 Love Laugh Crochet is finally OPEN! Thank you so much for being patient with me while I figured out the online store. 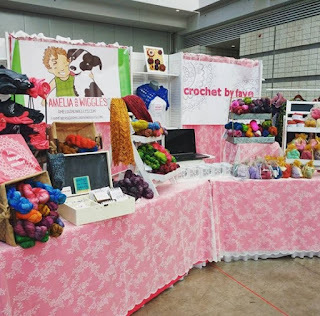 I placed most of the goodies I have left from my booth at Pittsburgh Knit and Crochet Festival online. 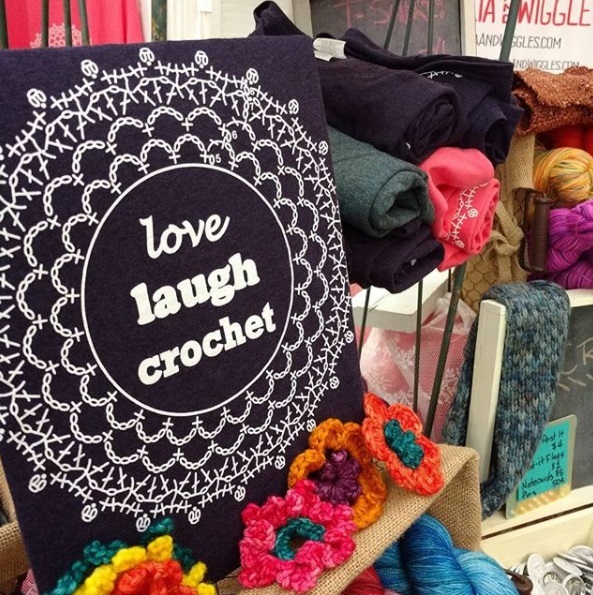 As you know, my products are all things that I myself would buy at local yarn festivals and shops. There is a mix of tshirts, bags, mugs, and other extras. 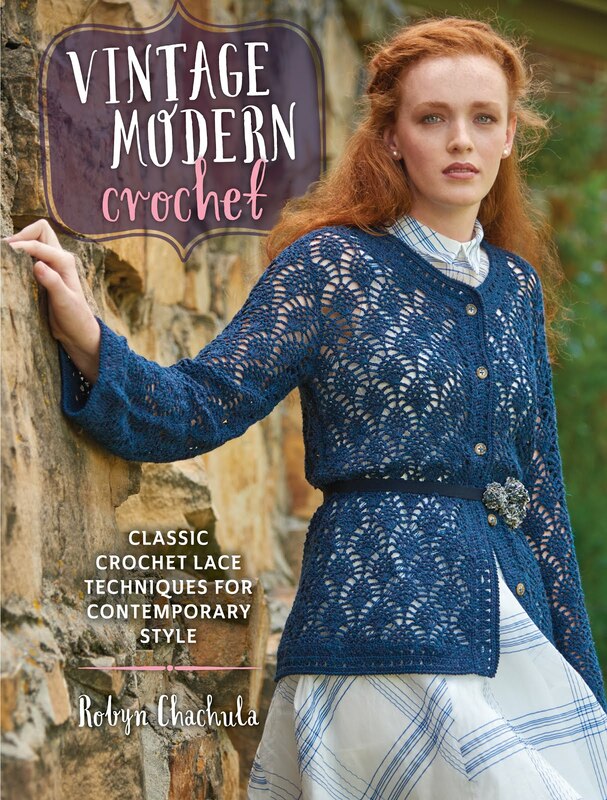 I also have a few crochet kits for some of my online patterns. 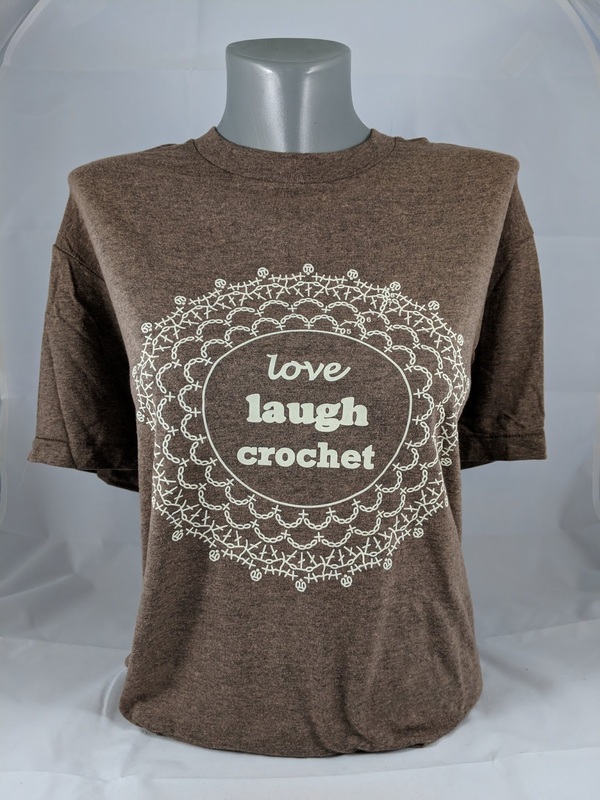 All the tshirts feature the same "love laugh crochet" logo. They are all printed locally here in Pittsburgh. 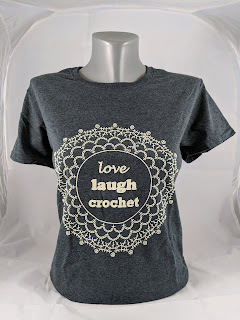 I designed this tshirt for the 2015 Pittsburgh Knit and Crochet Festival to wear in the booth on a whim. The following year I made more for all my mannequins to wear and the next year we sold out of the tshirts with in the first day of the market. I now own 6 of them and wear them nearly every day. 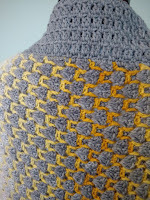 They all feature one of my own stitch diagrams from one of my patterns. All printing is in antique white, lighter then an offwhite. They come in Ladies size, Unisex size, and Premium super soft. 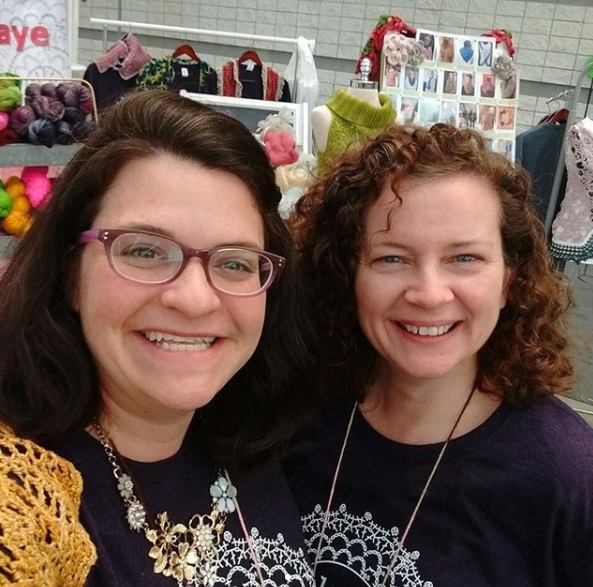 More styles will be added after this year's Pittsburgh Knit and Crochet show. Besides tshirts, I have lots of other goodies. There are project bags. Perfect size for bringing any project on the go. 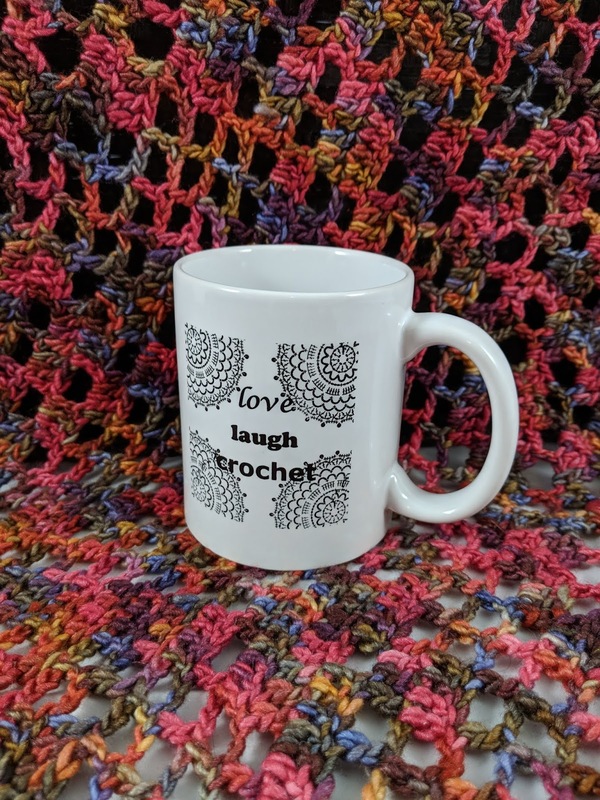 Or just showing your love of crochet on your next outing. There are 11oz white ceramic mugs. I tend use mine as a pencil holder on my desk to hold all my crochet hooks that I am forever losing. I have grocery bags, notecards, post-it notes too. 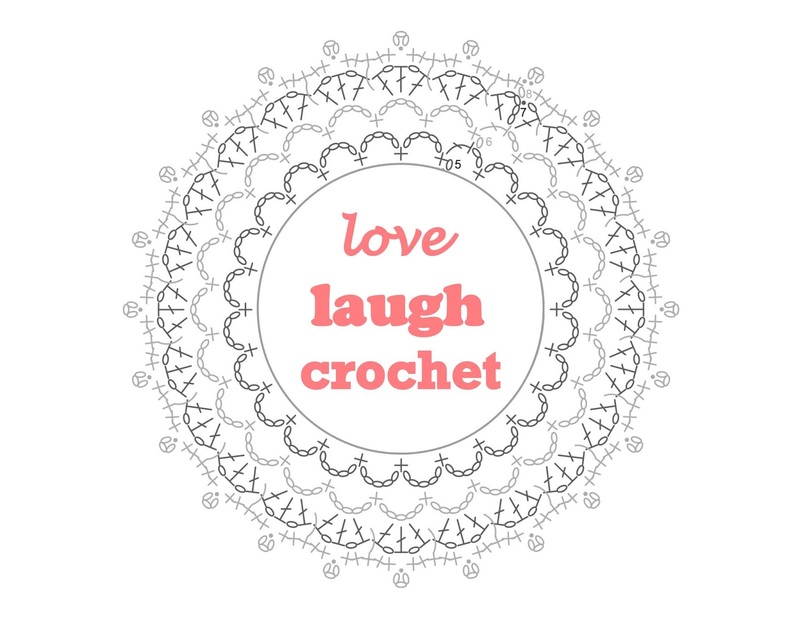 My favorite things on the site are the crochet kits. I used yarn from a few of my favorite people in the industry. Quantities are very limited after the last show, but there are a few really wonderful ones left. 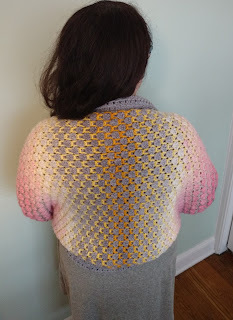 I had a hard time sharing some of them, wanting to keep the yarn for myself! I offer free winding by request. Just leave a note in the comment area when checking out. I have 3 kits with Kristin's yarn. 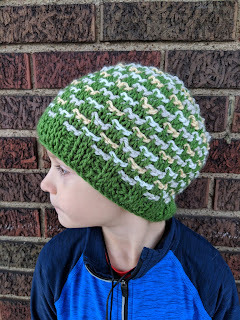 I can't get enough of bamboo yarn! I just love the way it wears. I have 4 kits in Annie and Kathleen's beautiful yarns. 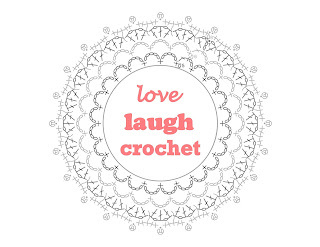 I adore them, and their yarns are so soft and wonderful to crochet with. Annie's colors are inspired by TV shows, and she hits it right on the head! I have a lot of their wonderful yarn in my studio. I can't get enough! Opal Solomon's Knot Cowl Kit uses 1 hank of ModeLux which is ridiculously soft. 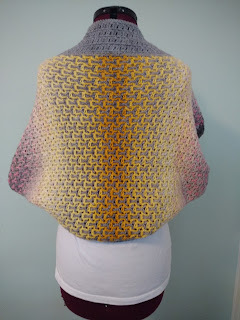 I very few kits left of the amazing Cindy's yarns. Not to worry, she has a number on her site too. 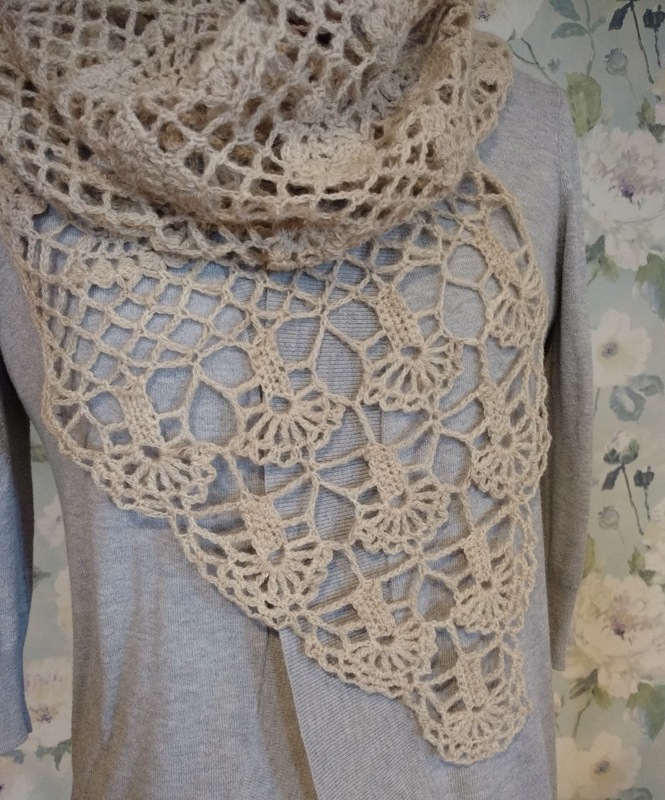 Her yarns are wonderful to crochet with and make the projects truly stand out. Luckily, this year at Pittsburgh Knit and Crochet Festival we will be next to each other. I can't wait! 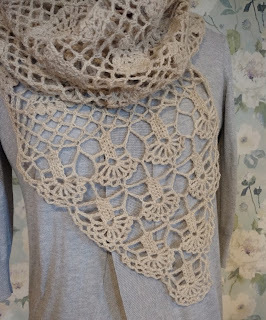 I do have one kit left of Cateline Motif Shawl and Floating Shawl. I just need to re-shoot the photos. Will be up soon. Please let me know what you think of the pop-up shop. Anything you want to see me feature? Anything you wish I had? I am all ears! Please drop me an email and let me know! 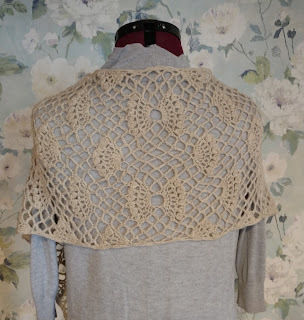 Inspired by the wonderful rich history of The Ross Farm and their heritage breed, this shawl tries to capture the simple beauty of classic crochet lace and wonderful Shetland wool 2ply yarn. Inspired by the brilliant patterns of the Arts and Crafts movement. 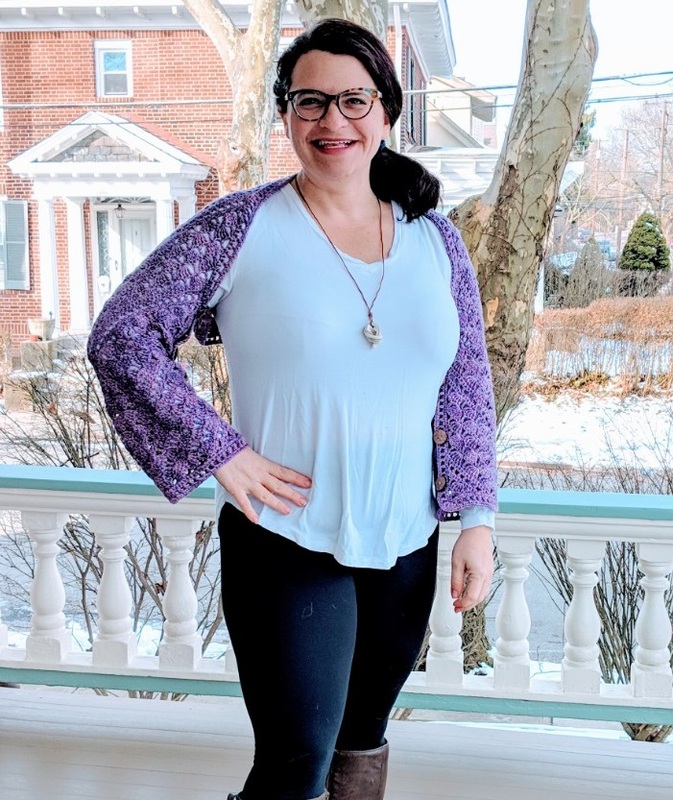 This shrug combines two stitch patterns in one shrug. Completely reversible, you can wear it either way to suit your mood. 1. When working with color flow yarns, sometimes its necessary to re-wind the yarn or work from the outside in to get the color you need. In this project, I re-balled one ball of both A and B to get a center pull yarn ball for when I ran out of the first two yarns in the middle of the project. 2. 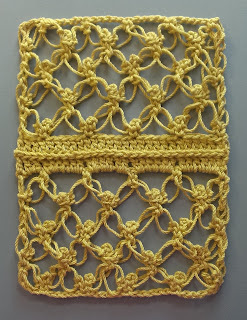 Stitch pattern is worked by crocheting two fabrics at once. 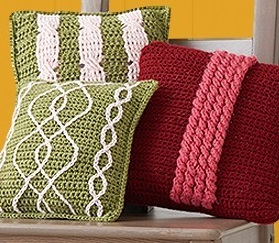 Fabrics are interwoven as you crochet for the unique look. 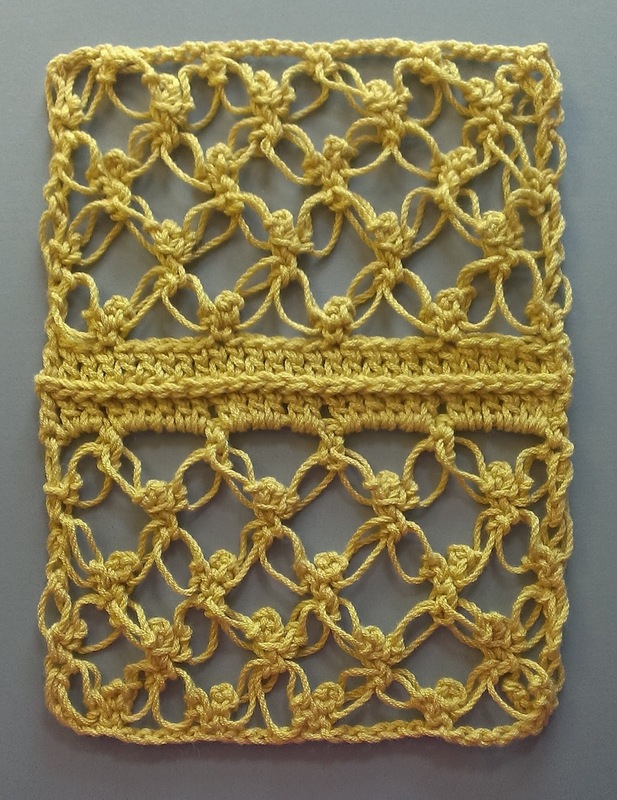 Remember that A only gets crocheted into A rows, and B gets worked in only B rows. 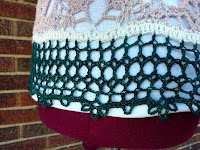 You will have to insert your hook around the other fabric while you crochet. I am really looking forward to coming back to Loveland, CO! I can't wait to see some familiar faces and meet new crocheters too. This year I am teaching 5 classes on Thursday and Friday. I hope to see you in one of them! We all love cables, but making them can be down right confusing. 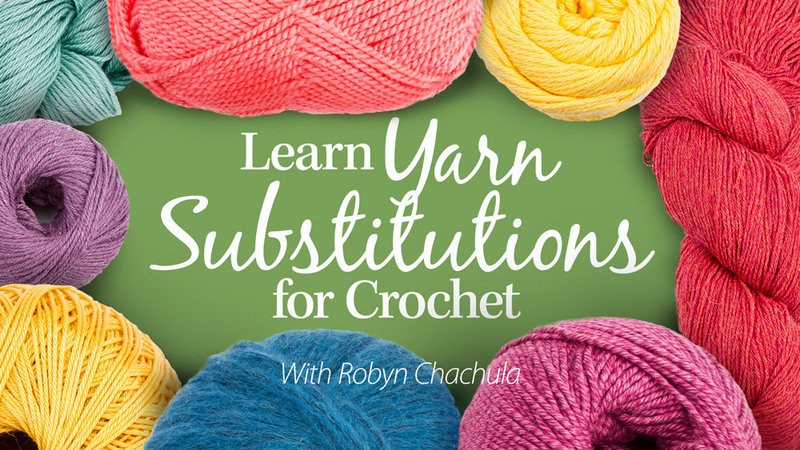 In this class, we will explore 3 separate ways to make crochet cables shine. 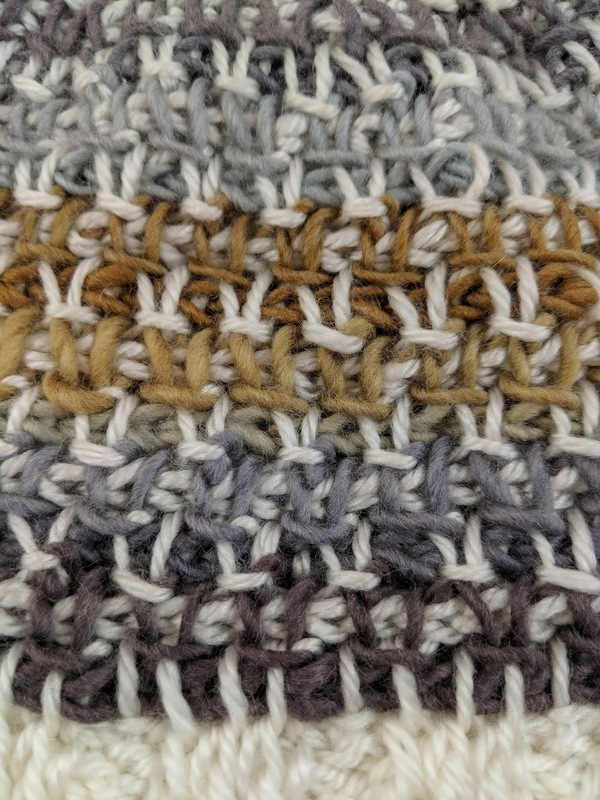 We will master the classic post stitch technique while exploring tips for making them even more amazing. Learning how to make cables stand out yet still have a thin fabric will be the key in the second technique. 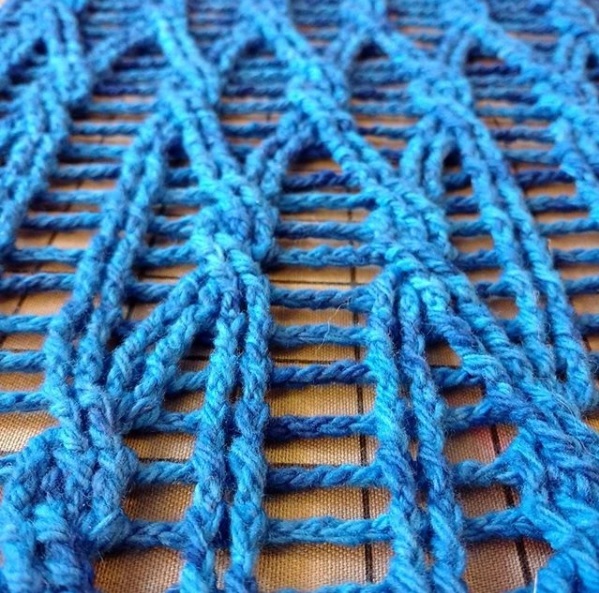 The final cable technique uses short-rows to its advantage for eye-catching work. 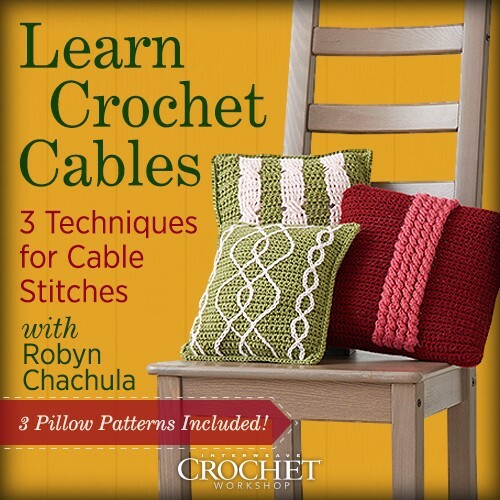 This class is for the advanced beginner, very familiar with single crochet and double crochet. Come join me as we fall in love with a beautiful vintage lace technique. 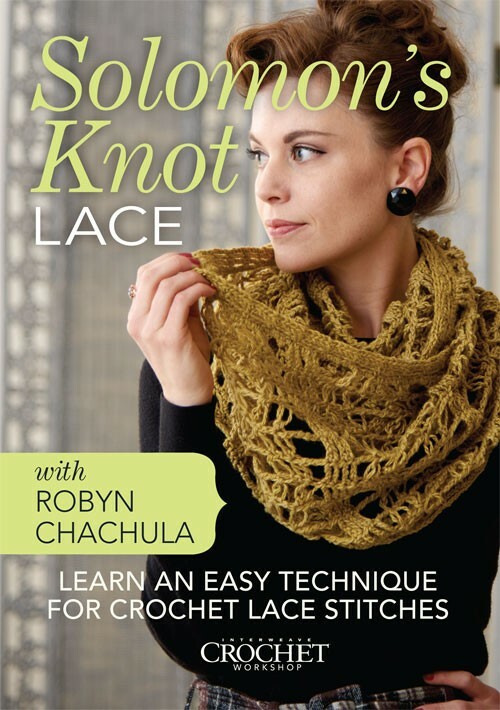 Solomon’s Knot Lace is an amazingly easy lace to crochet once you master the basic stitches. 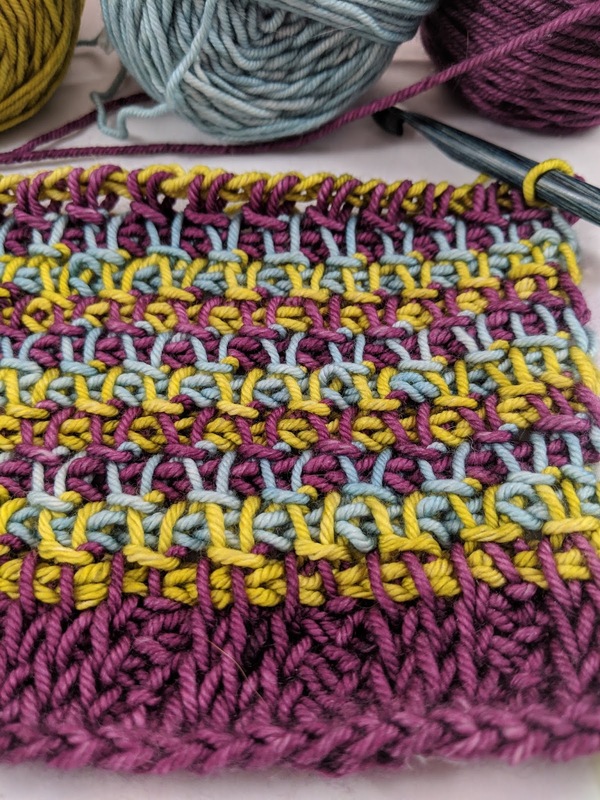 In class, we will talk about tips for making the perfect loops, how to add sparkle with beads, and how simple it is to combine it with classic crochet stitches. 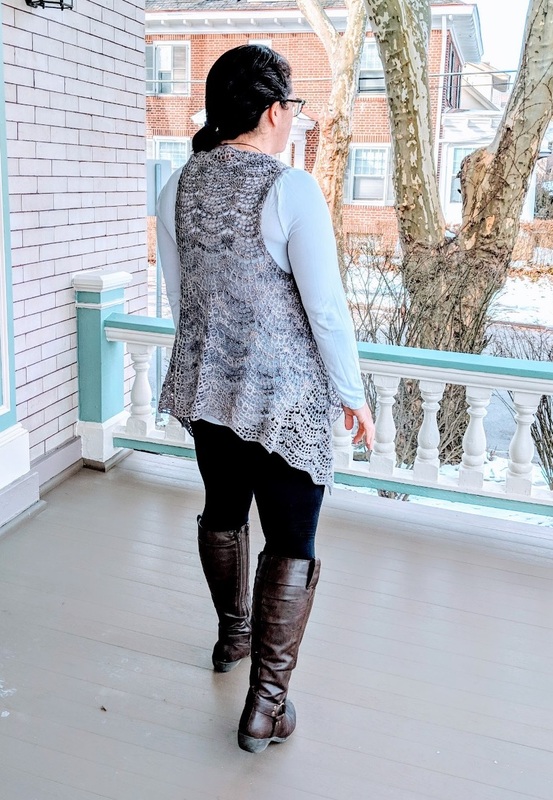 If you’ve ever wondered what to do with that single skein of dramatic novelty yarn in your stash, this is the lace technique for you! 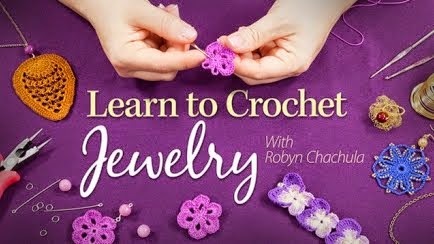 This is a beginner level class, and students must know chain and single crochet. 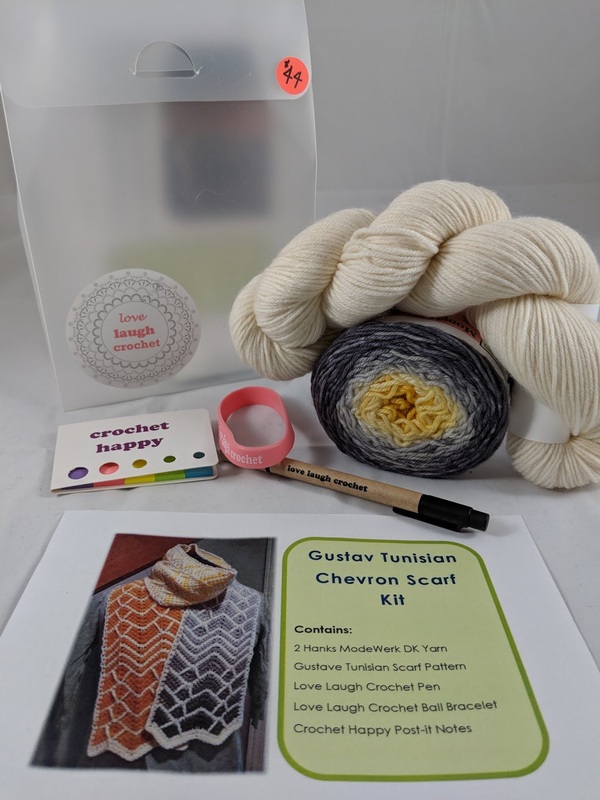 This class is a good choice for knitters who would like to try crochet. 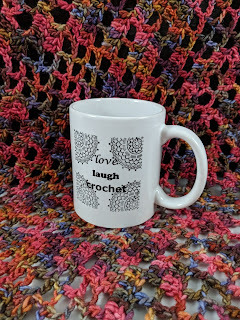 Do you love crochet stitch dictionaries for their beautiful motifs but do not know what you could do with them? 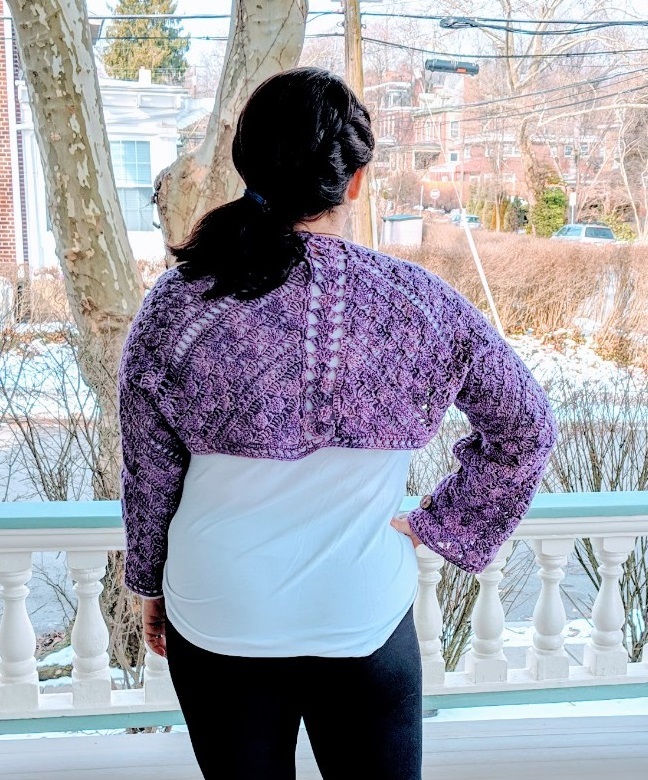 Have you mastered joining a few motifs together in a strip but want to know how you could transform that into a sweater or a bag? 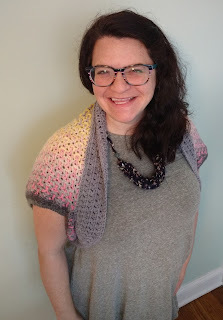 Then come join me as I walk you through how to build and construct your next project with crochet motifs. I will guide you on how to join square motifs seamlessly, as well as how to spice them up with a fun crochet join that makes a totally unique fabric. I will show you how a simple trip to your local office supply store can be the key for unlocking those motif sweater layouts. I will break you out of the box with how to layout hexagon, octagon or circular motifs. Lastly, I will show you that keeping your old swatches can make joining and filling voids in your fabric fun. 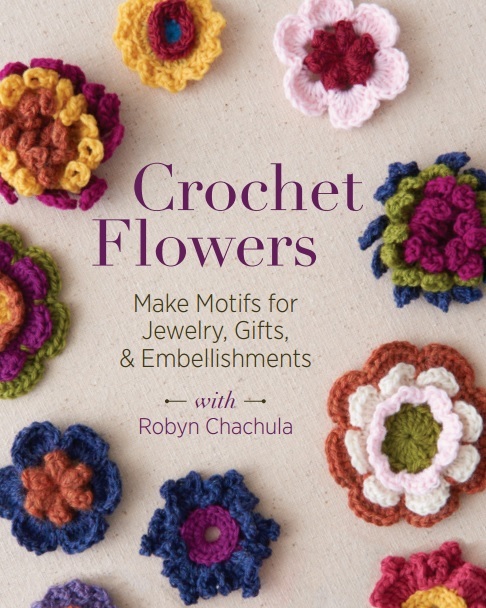 Get ready to grab your hooks and stitch dictionaries after class to build your next gorgeous crochet motif project. 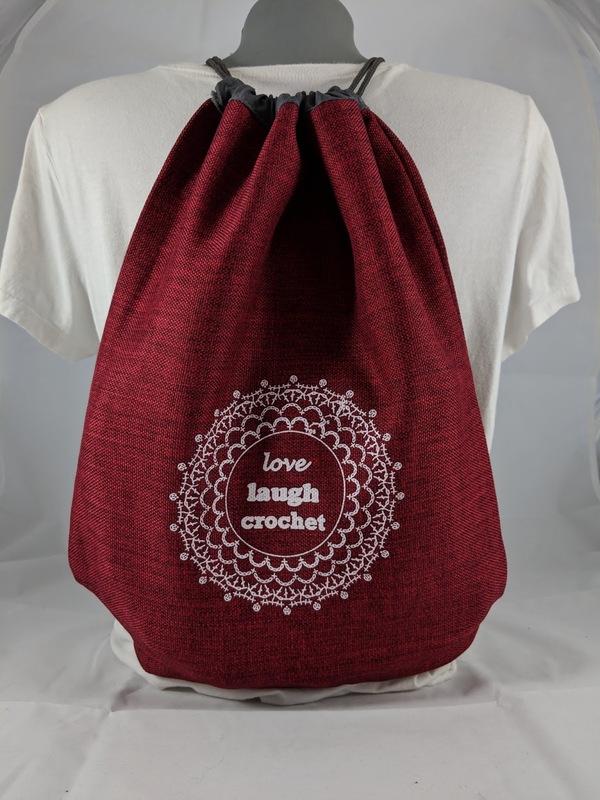 Looking for some instant gratification (but still want to make something wearable)? 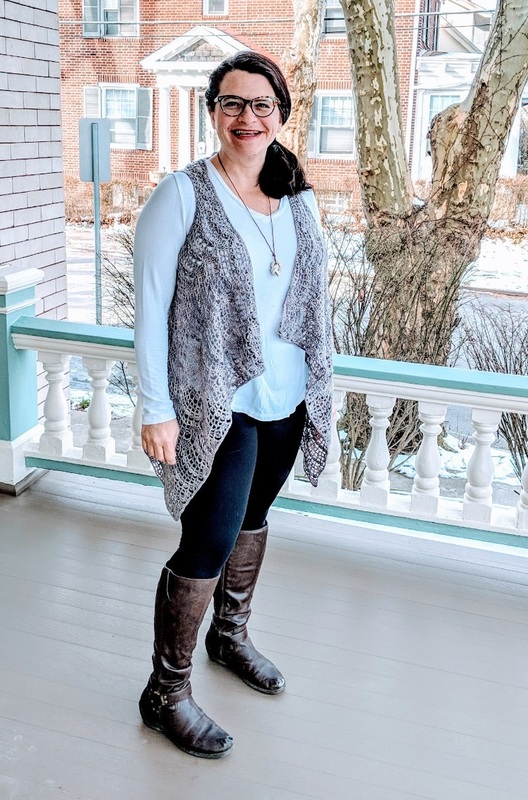 Crocheting top-down sweaters could be for you! In class we will walk through everything, from picking out the best yarn and stitches,how to shape the yoke of the sweater, how to join for the body and sleeves, and on through finishing.By the end of class, you will be completely equipped to make the perfect sweater for you and halfway through our class sample doll sweater. 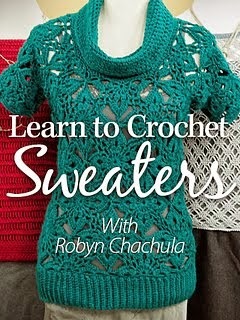 This is an advanced beginner class for anyone ready to try their first sweater. 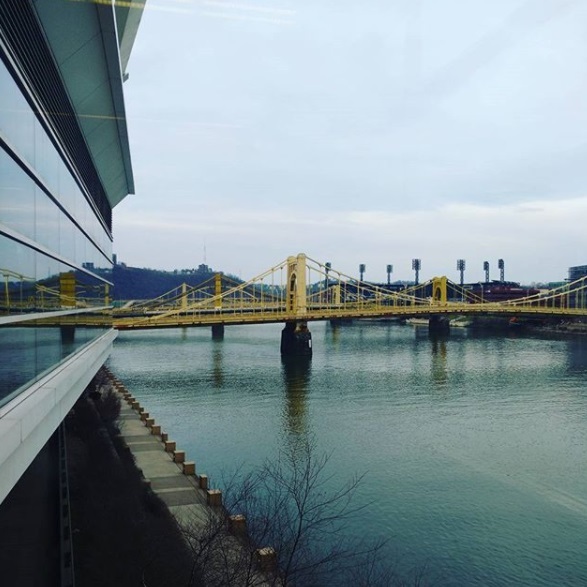 Mark your calendars for April 6-8, 2018 to head over to the Pittsburgh Creative Arts Festival. 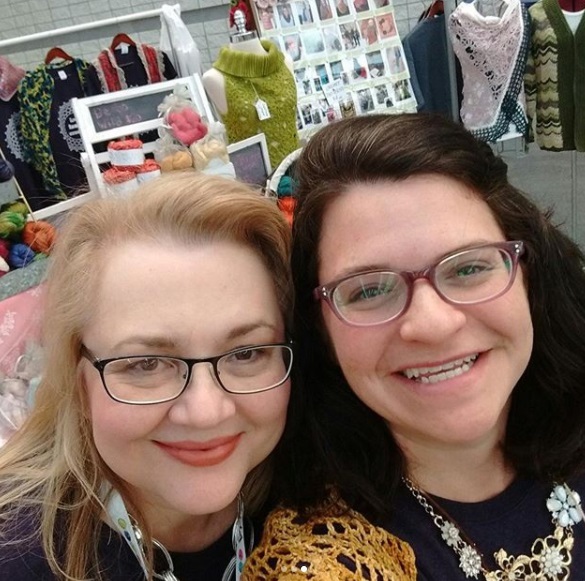 It is being held again at the David L Lawrence Convention Center in downtown Pittsburgh. The marketplace will be in Hall A this year which is bit closer to the classrooms, but it still has all that fabulous natural light. I mean the lighting and views are incredible. It's a great excuse to come check out the building and city. These pictures are from last year's booth, and you can see it's so bright and beautiful there! Speaking of booth, we will be back again with tons of crochet goodies for you. Rebecca and Karen will be helping me again in the booth. They are the best, and I could not do it without them! They sadly are not creating that much magical yarn this year, so I am bringing in some friends to help. 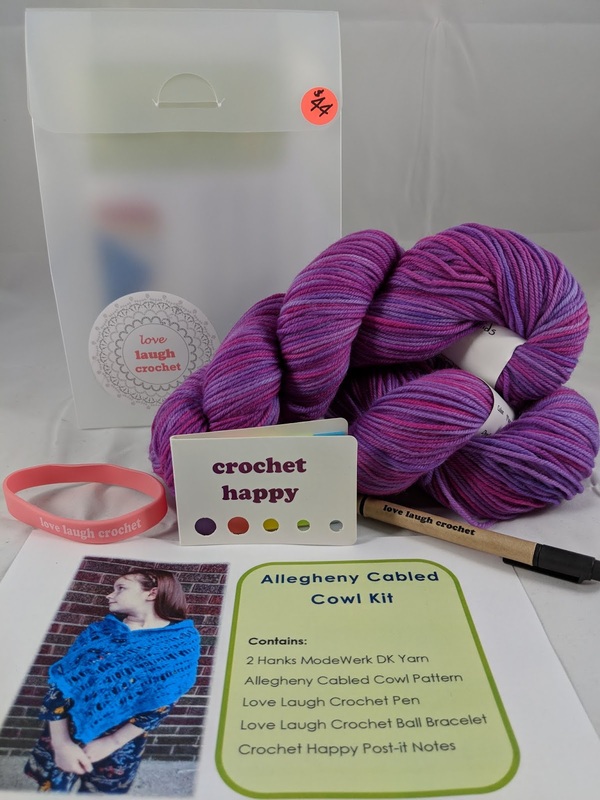 I will have crochet kits featuring Stunning String Studio, ModeKnit Yarn, and Kristin Omdahl yarn. 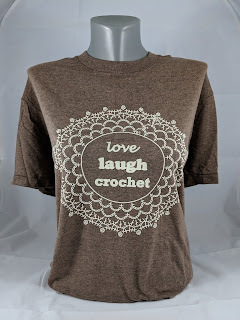 We will have crochet swag again. I placed a much larger tshirt order this year, so hopefully everyone will get a chance to grab the shirt color they want. 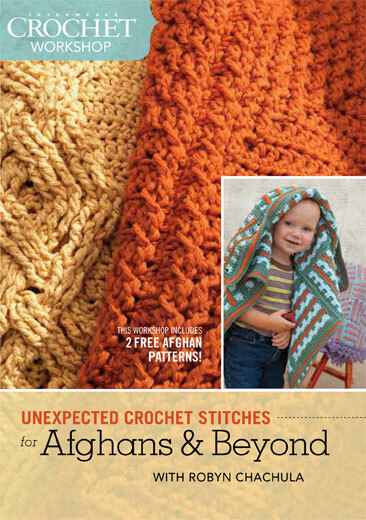 As always, I will have brand new patterns first released in the booth; as well as my new DVD classes. I will have as many of books and DVDs I can drum up. 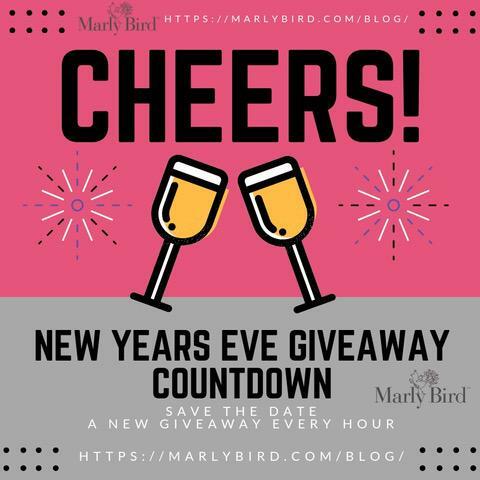 Hope you can stop by and say hi! textured fabric. 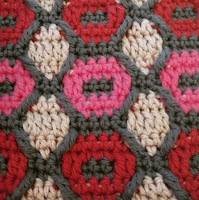 Post stitches can be one of the most underused stitches and you will learn lots of tricks to crochet them perfectly for any project. New Class! Come be inspired by the amazing edges, from vintage to modern, that we cook up together. Edgings can completely change the look of any project and transform it into a stunning work of art. Edgings can also be amazing savers of time, covering up a number of errors. Come learn all that edgings can do for you. Take away a packet of all the edging we will learn during the class. 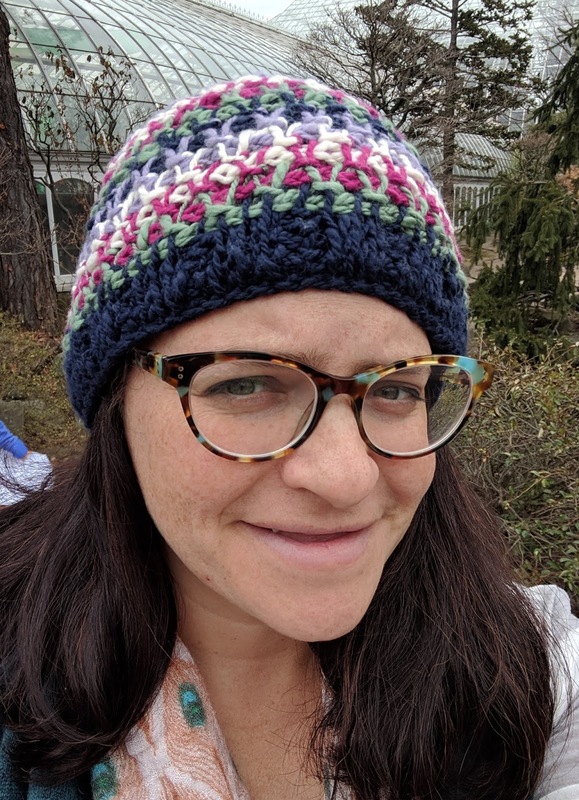 This class is for the intermediate level student, must know how to chain, single crochet, and double crochet. New Class! Do you love color and texture? Then this class is for you! 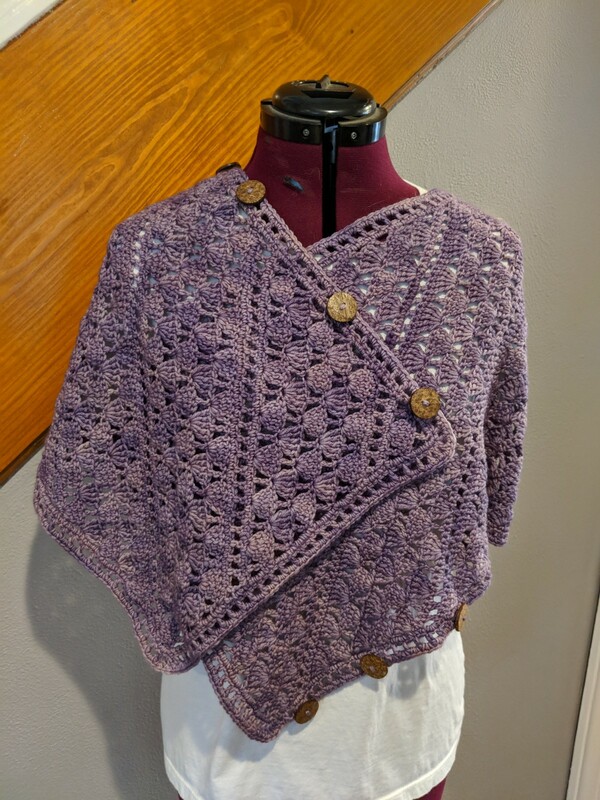 We will be playing with the amazing techniques of interlocking crochet, overlay crochet, and mosaic crochet. That all sounds very fancy, but in simple terms we will be explaining our knowledge of crochet and playing with where we place stitches to achieve creative colorful patterns that have depth and dimension. 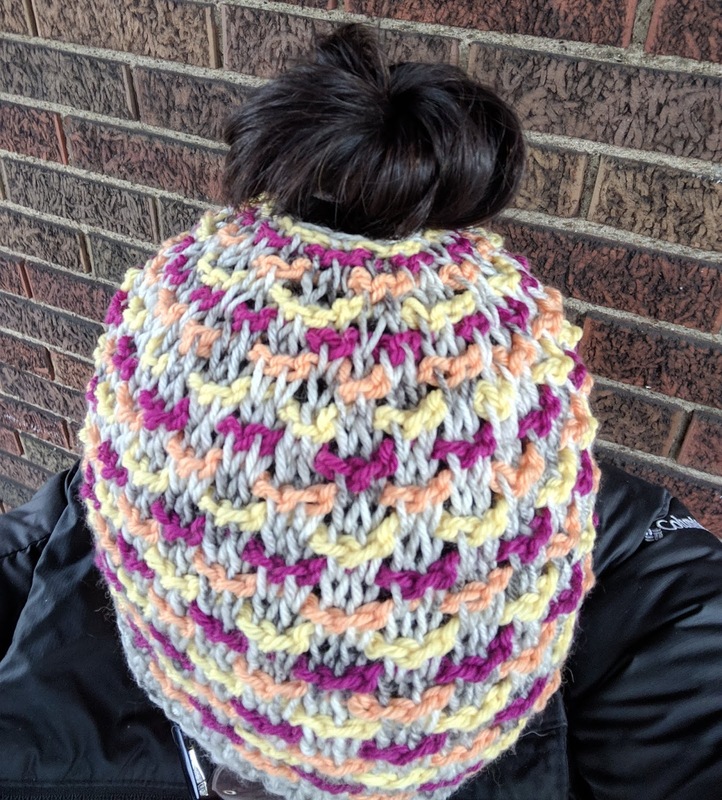 This class is for the intermediate level student, must know how to chain, single crochet, and double crochet. I truly love teaching and getting to spend time with everyone in Pittsburgh. I really can't wait to see you all there!